Great Taste 2012 - Gold award! The Great Taste award is awarded each year by the Guild of Fine Food, but only for absolutely outstanding food. 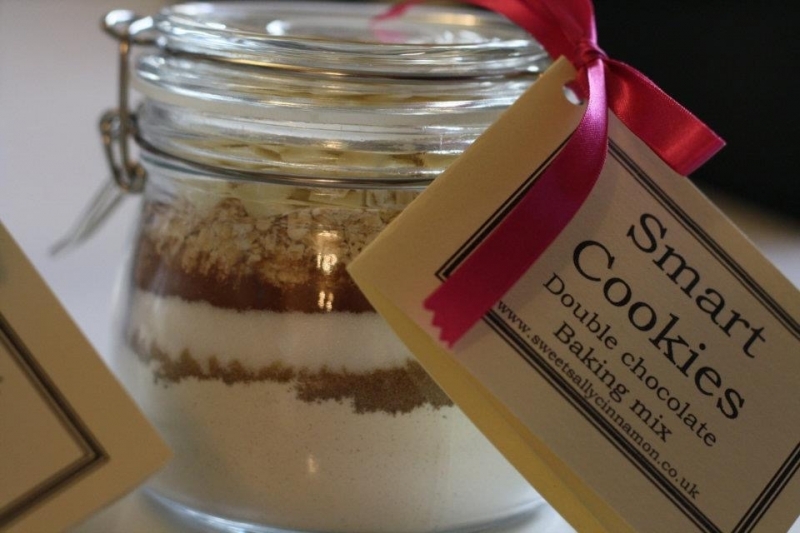 We are very proud to have been awarded a Gold award in 2012 for our "Good Stuff" flapjacks! 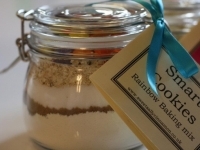 Inside a lovely glass presentation jar you will find in beautiful layers all the dry ingredients you will need to create some very smart cookies in no time at all. Simply add 125g nice soft butter and one beaten egg and give it a good mix with a spoon or clean hands to form a dough. Roll into balls, space out on a tray and bake for 15 minutes. The ingredients are exactly as you would weigh out yourself at home and are either British sourced or fair trade in the case of our Belgian Chocolate chunks. 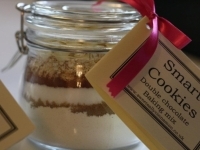 Double chocolate: Plain flour, caster sugar, fair trade white chocolate chunks, light brown sugar, oats, fairtrade cocoa, salt, baking powder. 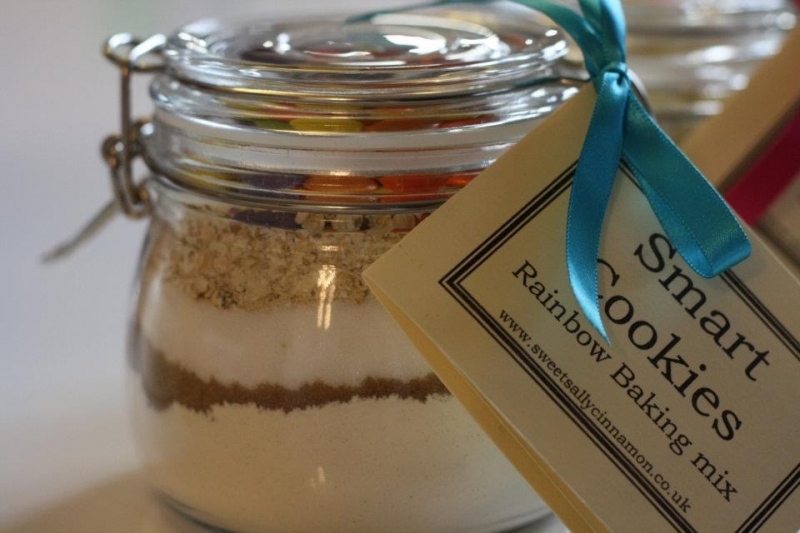 Rainbow: Plain flour, caster sugar, natural coloured milk chocolate beans, light brown sugar, oats, fairtrade cocoa, salt, baking powder.